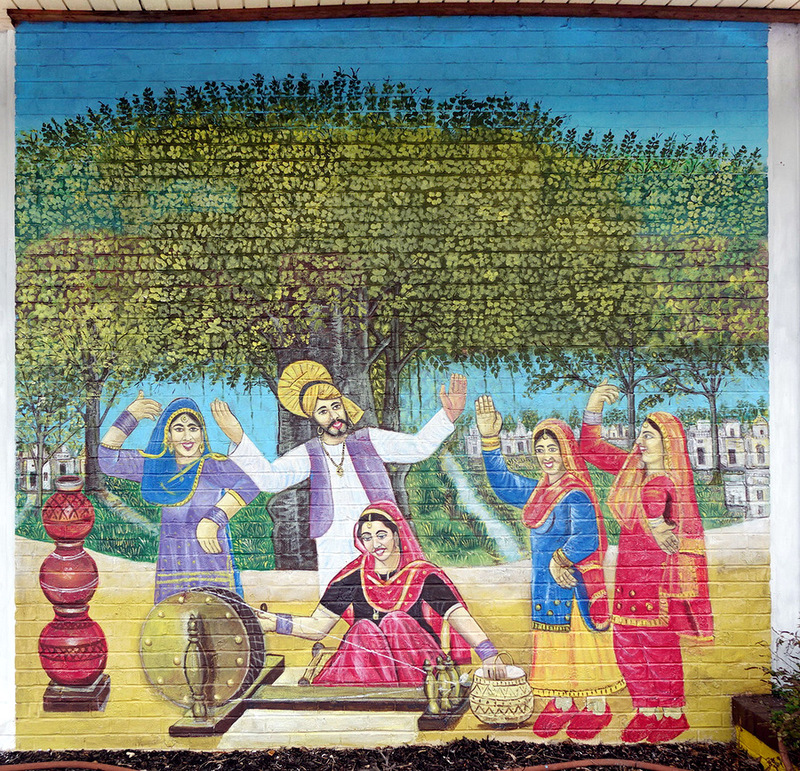 This is one of the India-themed murals on the side of the India Palace on Liberty Lane in Greenville. 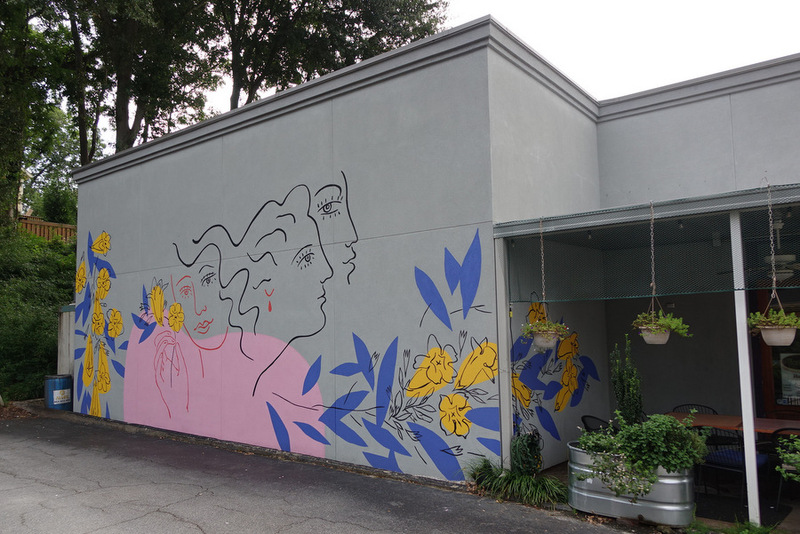 This mural by Annie Koelle on the Bohemian restaurant on Stone Avenue is is in honor of the Gridley Club’s 100th anniversary in 2019. 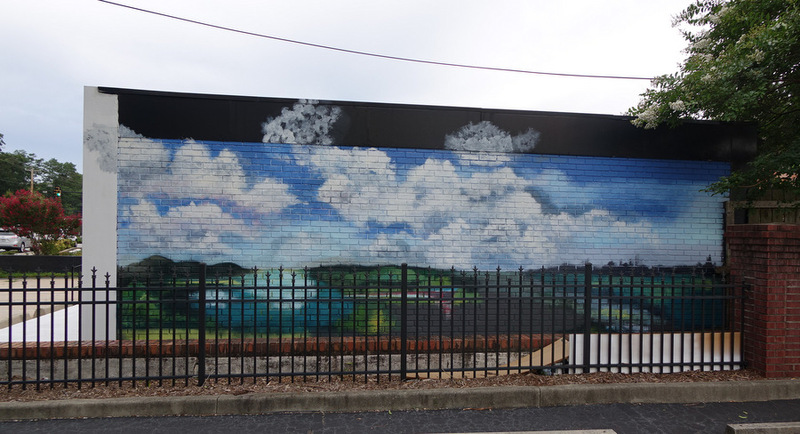 This mural on the side of the Stax Original diner on Poinsett Highway was painted by artist Kate Furman working together with Furman University art students. It is a whimsical composite of scenes from the area around Cherrydale and Furman University. This mural on the Watson Finance building on Stone Avenue was designed by Bannan Blasko LLC, along with the students of Stone Academy. It includes several elements: the life cycle of the dandelion, an eclipse, and a honeycomb / beehive. 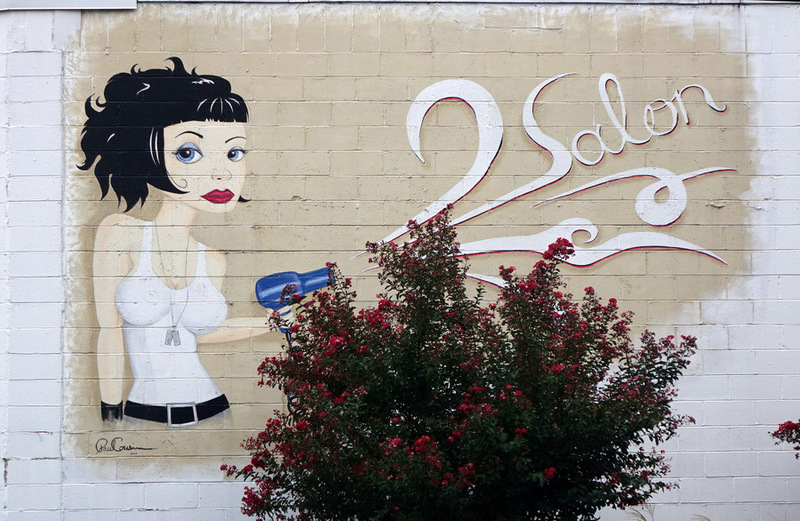 This mural by Michelle Jardines is on the side of the Bombshell Lounge salon on Stone Avenue. 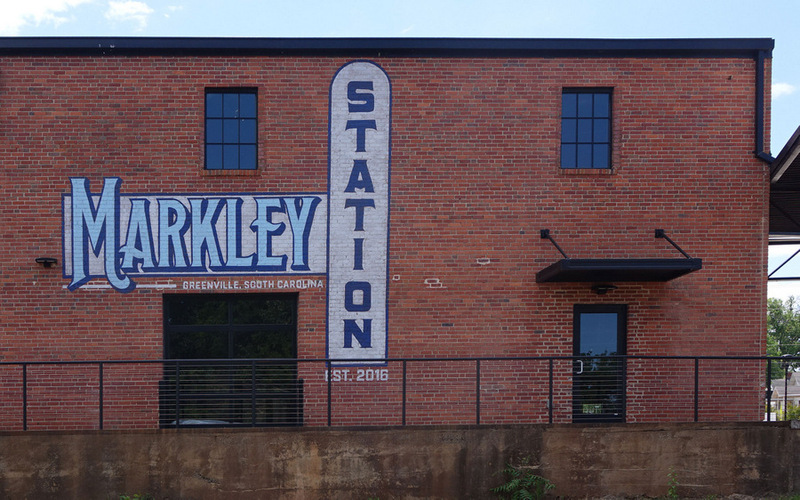 This mural by Bannan Blasko is on the back of Markley Station, facing the railroad tracks. 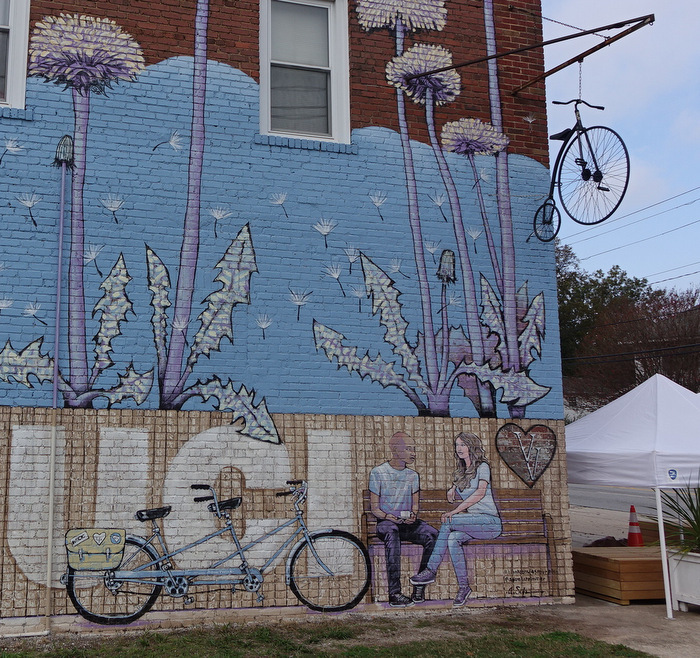 This mural by The Blank Canvas Mural Company is on a building on Shaw Street in the Poe Mill community. People from the community supplied most of the labor as paint was applied. The letters have the message for the first glance but the colors convey a second embedded message. #weallbleedred. 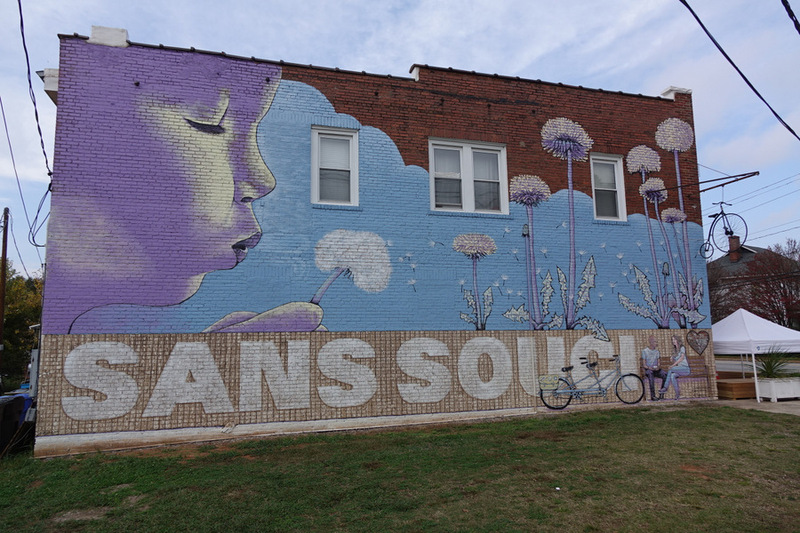 This mural by The Blank Canvas Mural Company is located on the side of the Velo Valets building in the community of Sans Souci. It captures the spirit of being carefree, a play on the meaning of “Sans Souci” in French. 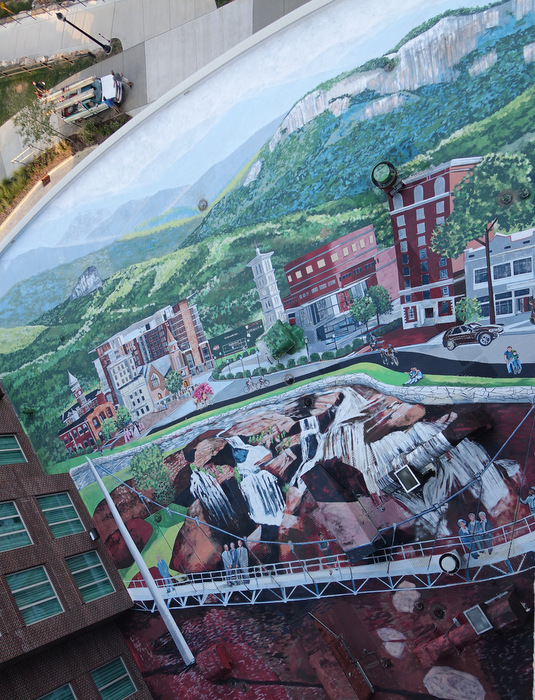 The rooftop restaurant and bar Up on the Roof not only offers views of the city, but looking down at the roof of the first floor shows this giant mural of iconic Greenville scenes by artist August Vernon. Up on the Roof is located at the top of the Embassy Suites hotel in Greenville.